Although the world generally applauds the upward trajectory of the rapprochement between North Korea (the Democratic People’s Republic of Korea: DPRK), South Korea (the Republic of Korea: ROK) and the US in 2018, serious questions remain about North Korea’s strategic intentions. The core issues are largely unchanged from the first round of US-DPRK negotiations that produced the Agreed Framework over two decades ago in 1994: the DPRK seeks a nuclear weapons and missiles programme to ensure regime survival for its anachronistic political system; the US sees this programme as an immediate threat to its regional allies and the nuclear non-proliferation regime, as well as a potential threat to its own homeland. The trust deficit between the two sides is so large that it cannot be fully bridged even by the boldest of moves, such as the summit between President Trump and Kim Jong-un in June 2018 or the rapid warming of inter-Korean relations. Yet, while the core problems remain, the regional and global landscape has been irrevocably altered by China’s historic rise. 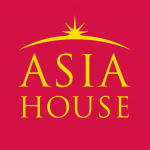 China’s emergence as the world’s second-largest economy and a major military power in its near abroad has affected the balance of power in the Asia Pacific. China is now its own centre of regional power, separate from and increasingly opposed to the US and its hub-and-spoke system of alliances. Meanwhile, the US trend towards domestic retrenchment and isolation in the Trump era is hastening the inception of a multipolar global order. Both the US and China want to sit at the top of this emergent order without paying the costs of maintaining it. Both blame the other for ratcheting up the costs. The US now openly acknowledges that the competitive aspects of its relationship with China are as critical to its national interest as are the cooperative aspects, and that these trends are likely to persist or deepen as China continues to grow in economic strength. Furthermore, the US has also long thought that China holds the key to the North Korea problem, and therefore has leverage over American and allied efforts to address North Korea’s nuclear programme and coercive threats. But just because China holds leverage over North Korea doesn’t mean the two countries are aligned. North Korea may think that its past refusal to negotiate on the nuclear issue has isolated it into an over-reliance on China. It may have seen how China treats its friends and partners when they have competing interests to China’s own, and it may be looking to diversify its economy and foreign policy. This is a good strategy in a multipolar global order, where smaller states should seek out partnerships either to balance major power interests or to exploit the differences between major power interests for their own benefit. Kim Jong-un is deploying both strategies: his reported announcement to South Korean negotiators that a continued presence of US troops in South Korea is tolerable even after a formal end to the Korean war is a message which is likely aimed as much at Beijing as at Washington or Seoul. The question facing the US policy community is how to maximise the outcomes of the negotiations without losing faith in their progress, and how to tie those objectives to larger regional goals. Ideally, the US and the DPRK would come to terms over denuclearisation on the basis of a regime security package that significantly reduces the likelihood of a military conflict and allows the United Nations Security Council (UNSC) to lift the sanctions. However, if the US policy community is sceptical about reaching such a bargain, it should also consider the value of less-than-perfect outcomes that incrementally improve the bargaining position of the US for the future or otherwise contribute to regional peace and stability. After all, deterrence is not dead for either side: using a nuclear weapon against the US or its allies would be regime suicide for North Korea, while the DPRK’s current capabilities deter the US and the ROK from pursuing regime change by force. This stalemate is not indefinitely sustainable, but it is relatively stable in the absence of provocations by either side. Kim Jong-un knows that protection from external attack is a necessary but insufficient condition for long-term regime security. In order to ensure Kim family supremacy, the DPRK also has to provide opportunities for economic development to its people. The pressure to do so is two-fold: first, the people of North Korea – particularly the elites – are facing relative deprivation as global information technology cracks the façade of North Korean state propaganda; and second, the black and ‘grey’ – or semi-sanctioned – markets have grown large enough to credibly assume they can compete with the state sector for capital and labour. Bringing these markets back under control will require providing opportunities elsewhere, and sanctions are working to block state sector development. While North Korea is likely to evade, obfuscate and slow the process of denuclearisation, progress on the nuclear issue is a bottom line prerequisite for lifting globally mandated sanctions and thus creates decisive US leverage. 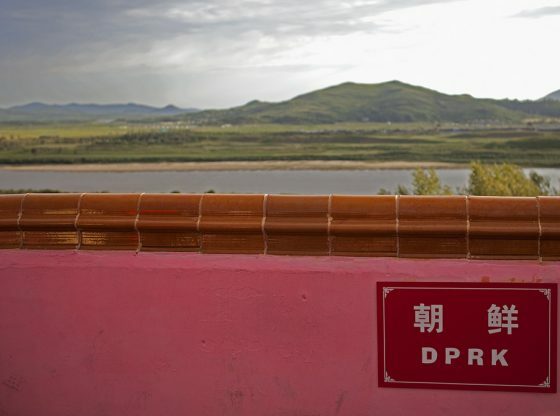 China may support North Korea’s diversification of relations as it seeks to deflect blame for North Korean provocations that are beyond the scope of its control. It may also see value in slowing or stopping the cross-border black and grey market activity that escapes the enforcement of sanctions and makes Beijing look like a feeble partner in the global pressure campaign on denuclearisation. If the best strategy for all powers in a multipolar world order is to diversify, then the national interests of the various parties to the conflict on the Korean peninsula may be coming into alignment with the political will of the current leadership. If so, there is a relatively short window of time to create transformative political change on the Korean peninsula. The danger is that this window will close due to domestic political transitions or to a deterioration of the multipolar system into a bipolar system characterised by a new cold war between the US and China. The US and China have done an excellent job to date on compartmentalising the North Korean nuclear issue so that tensions in other areas do not play out as a proxy competition on the Korean peninsula, and they should continue this dynamic while working to solve broader issues in the relationship. Rorry Daniels is the Deputy Project Director of the Forum on Asia-Pacific Security (FAPS) at the National Committee on American Foreign Policy. In her role with FAPS, she organises Track I 1⁄2 and Track II conferences and meetings focused on security issues in Northeast Asia, oversees Asia-related publications and public events, and manages the project’s grant and donation funding. From 2015–2016 she was concurrently Deputy Director of the NCAFP. She regularly writes articles and contributes commentary on Asia-Pacific security issues to scholarly publications and media outlets. She is a member of the National Committee on US-China Relations and the National Committee on North Korea, a Pacific Forum CSIS Young Leader, and a Korea Society Kim Koo Foundation Fellow (2015 cohort). She earned her MS in International Relations at NYU’s Center for Global Affairs, where she focused her studies on East and South Asia. She speaks Mandarin and holds a BA in Media Studies from Emerson College. Image Credit: CC by Roman Harak/Flickr.